Beautiful Incentives: Vitacost-$10 off your first purchase! Vitacost-$10 off your first purchase! 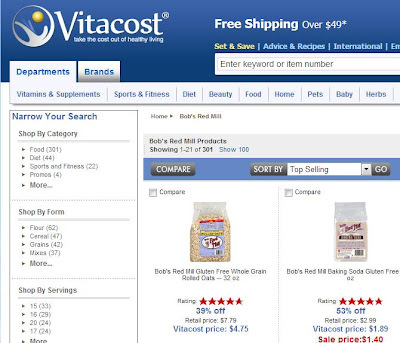 Have you joined Vitacost yet? This place is nothing short of awesome when it comes to buying healthy food, supplements, vitamins, and a whole lot more. Even makeup and pet supplies. I buy from them at least once a month. My favorite products are reviva labs cosmetics, bob's mills, vitacost b12 sublingual, gluten free snacks, raw honey, organic coconut oil and pure black cherry juice. The greatest thing about this place is that you earn an instant $10 from every referral, AND that referral gets $10 as well. It's a win win. They have amazingly cheap, unbeatable prices and b1g1 free offers. I don't need to convince you though, see for yourself.